Marketing data analytics companies can take your information to the next level. Imagine you run a campaign to acquire the emails of thousands of people. They sign up via social media for a chance to win a free prize. Once the campaign is done you’ve gathered 50,000 records and you are certain that the majority of this audience is from a certain area, male and between the ages of 25-45. You know this because those are the targeting selects you used when you set up the campaign via Facebook and Instagram. However, you cannot be sure that the targets you selected are the best way to describe your audience. You need more specific information and that’s where you need the service of the best marketing analytics companies. They can take your data and look at it, finding detailed information that you may have never known otherwise. This information can go a long way in improving the targeting of future campaigns whether it’s email, social media, display or something else. If you have your own database but you do not know a lot about your audience, it can minimize the success of your campaigns in the future. However, by getting it reviewed, you can see improvements in the targeting, not only to other consumers, but your own. 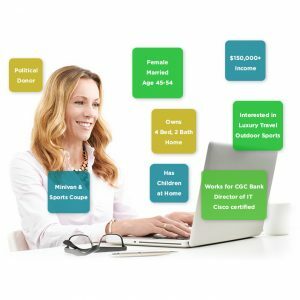 Virtual DBS marketing analytics companies can go over your data and show you important information about your audience like age, geo and gender. If you do not know much about your audience, this information can make a big difference for future campaigns. For example, let’s say you want to send a campaign out to your audience between the ages of 25-35 and you do not know how to segment it. By utilizing marketing data analytics companies’ services, you will know who you can send your next email to for a more effective campaign. Utilizing marketing analytics companies provides you with a unique opportunity to learn more about the consumer and your efforts. For example, you want to run a campaign of Facebook for your new shoe promotion. You are offering a 20% discount and you target men between the ages of 35-55 because they are the ones who tend to buy them. However, as you begin working with marketing data analytics companies, you discover that a large portion of your customer base are women who love your shoes and want to buy them for their husbands as gifts. You would have completely ignored a huge segment of your customers because you simply didn’t know who buys your shoes. Once the marketing analytics companies show you this information, you can run a Father’s Day sale to women who can buy the shoes for their husband, father, boyfriend and so forth. Suddenly, your conversion rates are improved, your sales go up and it all started with a free consultation with marketing data analytics companies that reviewed your data and helped you identify the best customers to target in your campaigns. We can do that for you and much more. Contact us today to get started with a free analysis and further assistance.